It's a holiday weekend, and I'm in the mood to hold a second giveaway contest to celebrate. Chanel's new, limited-edition Blue Illusion de Chanel Collection is available at Chanel.com. 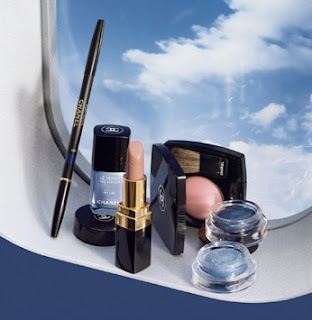 I purchased Sky Line for one of you, and the gorgeous Precision Eye Definer for myself. I tried to order the Long Wear Luminious Eye Shadow in Apparition, but it had sold out. 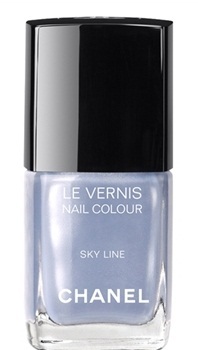 Les Vernis in Sky Line ($30) makes me dream of a few September days at the ocean. I haven't seen it in person, but its description grabbed me. Pale and pearlescent, nearly metallic. This new, uniquely elegant nail shade brings the beauty of blue down to the fingertips. I have one Sky Line to give away. How can you enter to win this giveaway contest (technically a sweepstakes)? Just leave a comment on this feature (not in another BTiB post). After you comment here, feel free to send me an e-mail at bestthingsinbeautycontests@gmail.com (the contest address, not my "personal" e-mail) and identify your comment. You can never be too careful about sharing an e-mail address you care about on a blog, so feel free to follow this step (an alternative is to code your e-mail, e.g., myname at gmail dot com, in your comment). Please make sure I have your e-mail. If I can't notify you, you can't win - even if your number is drawn. I can't believe the number of entrants I haven't been able to find in the past. This color would be "out of the box" for me, but I sure would love to try it! Thank you for the giveaway! This is a gorgeous color! Such a nice giveaway! The color looks really pretty! I follow you with GFC. I rarely wear nail polish but this polish is so gorgeous, I would wear it in a heartbeat. It's the perfect color, very versatile, not too light or too dark, just perfect. Thank you for always finding the most special products for your reviews and giveaways. I follow you through email, kleimanlaw at aol dot com, GFC, Diane Kleiman, and through twitter, @DianeLori. The polish looks like a great color. I love blue nail polishes. 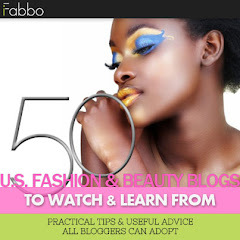 I follow through Blogger/Google account. tgd25 at cornell dot edu. I don't tweet...and all of those ways to enter just confuse me(which is why I hardly ever enter these types of contests). Just wanted to say I also wanted to order that shadow...maybe we can find it elsewhere? I pre-ordered at NM. They seem to think they are going to get it mid-September. Another way is to call one of the Chanel boutiques. New York has a few, and Las Vegas Bellagio has a great one. I'd love to try a Chanel product. Thanks for the giveaway! Ahhhh, what an absolutely gorgeous color! Thanks for a lovely giveaway! Happy Labor Day! That is very pretty, it would be beautiful on my lovely daughter. I follow your blog through another email address. Thanks for the fun contests! This is one item I haven't tried yet! I love it! my bedroom use to be this color. Lovely set. Thanks so much for doing this. 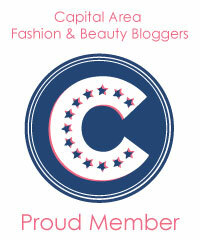 Your blog is the best ! More drool worthy Chanel! You spoil us. ME! I must win this! LOL. I follow you via email, CG. Eep, would love to win Sky Line as I'm not sure if I can justify purchasing it for myself (got nail polish coming out my ears). What a beautiful color! I would love to win this! I love Sky Line! Thanks for your generous give aways CG. I follow through email. Sky Line is such a lovely color - thanks for such a generous giveaway. What beautiful color, I dont know of any other light metallic blue by Chanel. Thank you, as usual, for this wonderful opportunity ! Oh My Gwah! So, so pretty. I also follow on NetNewsWire. I have so longed for this enamel! This color looks amazing.. I've wanted it ever since I saw the promotional images a while back. Blue has long been my favorite. It turns out, blue eyeliner is best for brown eyes and blue skies are better than gray!! Thanks Charleston girl for this lovely opportunity to win! This is a very pretty collection and a great giveaway from it. I am an email subscriber. This is such an awesome giveaway and this is my first entry ever on BTIB! I also am your email subscriber! looks like a gorgeous color! thank you for hosting this! Oh my goodness, that's pretty! I follow by email, GFC, and Twitter. Ooh, I can't wait for a review on the eyeliner you got from this collection! Wow! You really outdid yourself on this one! Thanks for giving us the chance to win. This shade is so divine! Just gorgeous! I have been waiting for this nail polish for a long time!! Thanks for holding this contest! Amazing color! And it's Chanel! thank you for the giveaway! this collection is stunning! I'm subscribed via email. I love love this color! Was thinking of ordering it! Great giveaway!! Lovely color! I love it! I love the magical color!! It looks amazing, thank you!! wow how great is this it would be even greater if I won this gorgeaous nailpolish! oh so pretty. thank you. Just found your blog tonight, and so far I LOVE it! Will spend lots of time I here I can tell. Great give-a-way too! I ABSOLUTELY love this color! I don't usually wear blues but I can guarantee I would wear this all the time! ;) Thanks for the opportunity! oooooh! I love Chanel nail colors. Thanks! Amazing giveaway , thank you. Looks like a fabulous color! Me again - I also follow you via Google Friend Connect. Chanel nail polish is so beautiful! Skyline looks gorgeous! I'd love to try it. I follow you via email updates and I e emailed you my email. Skyline is a beautiful color. I would like to win this nail polish :) Thank you for a wonderful giveaway! What a beautiful blue this is...would match my blue eyes. Chanel has great nail polish that's for sure. This color is beautiful. I always see such lovely things on your blog!